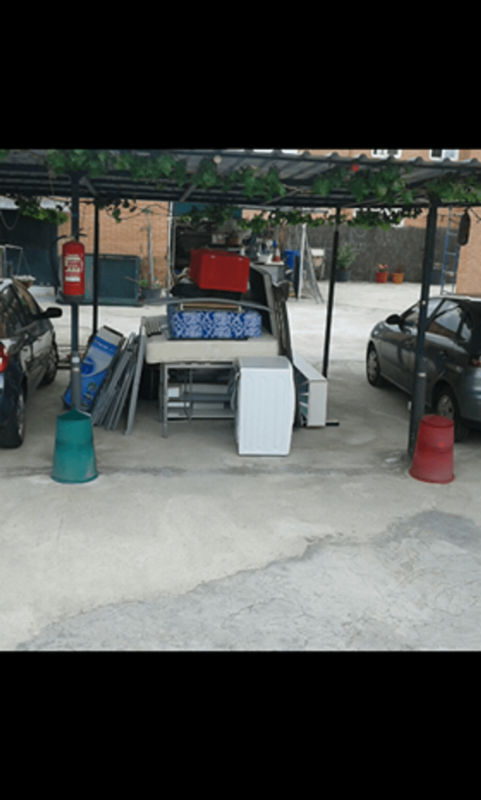 José Antonio Rueda Bermudez, a former Amazon employee at the San Fernando de Henares fulfillment center outside Madrid, Spain, remembers the day he came home to find all of his family’s furniture in the street. Weeks earlier, Rueda, his wife, and their now 10-year-old daughter had been forced to move in with relatives because they could no longer pay the rent in their own home. Since food was scarce, their relatives kicked them out. 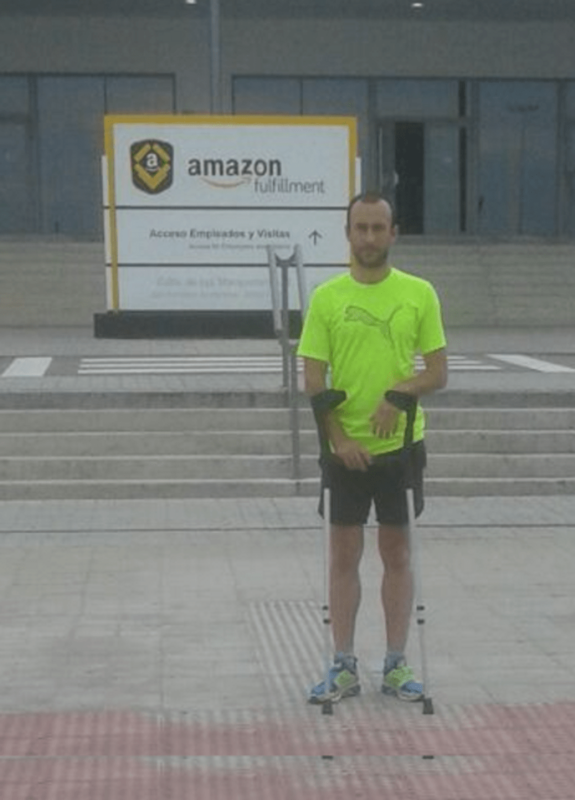 In 2015, Rueda was injured at the Amazon fulfillment center where he worked as a contract worker through the US-based employment firm Manpower Group. Rueda’s job was to lift and move hundreds of heavy boxes each day, a tiring task that must be done quickly, with management looking over your shoulder to ensure maximum speed and efficiency. One day in July, Rueda was moving a box when he felt an excruciating pain slice through his body. Though he was only 28 years old at the time, doctors now tell him he suffers from chronic lumbago and chronic Sacroiliitis, an inflammatory condition that causes severe pain and will likely remain with him for his entire life. His job prospects are limited because he cannot stand on his feet for long periods of time. The World Socialist Web Site first spoke to Rueda in June 2017. At that time, the WSWS reported that Amazon had fired Rueda for his injury and blamed him for it. This is Rueda’s 16 December 2016 video, called AMAZON ESPAÑA TRABAJADOR NECESITA AYUDA. In July, the unions held a three-day strike at the facility where Rueda used to work. … This did not stop the police from handling strikers with extreme brutality. Police beat workers with truncheons, causing one worker to bleed profusely from the face. Three strikers were arrested. Rueda has also lost faith in the judicial process. When he went to court in February 2018, he got a lesson in how the courts make it impossible for the working class to address its grievances. In the courtroom, Rueda presented his paperwork to the judge. He kept diligent records of his injury and had confidence that justice would be done. But Amazon’s lawyer argued that Rueda did not work at Amazon and did not deserve any money. Ignored by all official channels of communication, Rueda sought to use Facebook to publish his story. He used a Facebook account with a different first name so he could avoid retribution from Amazon and the courts. But one day when Rueda went online to share his story with other groups of workers, he found he had been barred from using his Facebook account. While Rueda and his family face possible homelessness, Amazon and its CEO, Jeff Bezos, are hoarding unprecedented levels of cash. Earlier this year, Bezos’ net worth hit $150 billion—the product of hyper-exploitation of workers like Rueda. Each second, Bezos makes $2,950, more than the annual salary of an Amazon worker in India. If Bezos’ wealth were divided evenly among all Amazon workers, Rueda and his coworkers would receive checks for $300,000 each. At times, Rueda has felt discouraged over the fact that everyone from the unions to the media to the political parties has told him they will do nothing on his behalf. He worries about his daughter’s future and cannot afford to wait another year for the money he deserves. “I see her story and she puts herself in defense of us”, Rueda said, referencing Allen’s specific appeal that American workers defend striking Amazon workers in Spain. “You see her talk about her health, her economic situation, the way they threw her out like garbage, and that nobody helped her—it hurts me”, he continued. 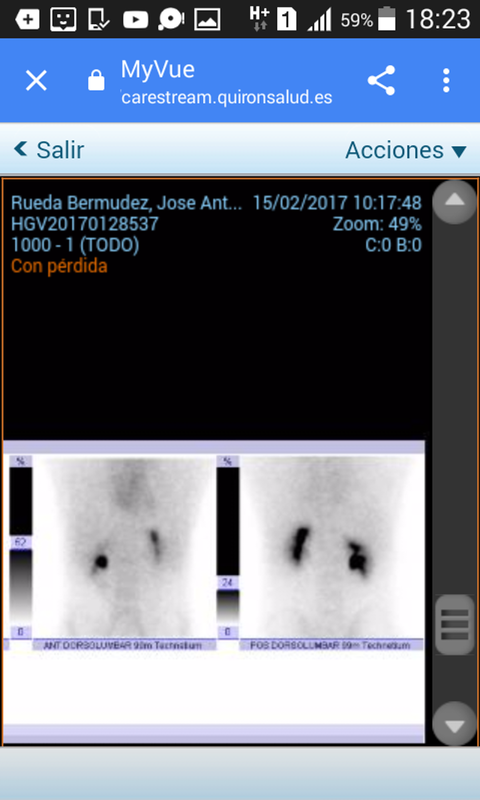 This entry was posted in Economic, social, trade union, etc., Human rights, Medicine, health and tagged Spain by petrel41. Bookmark the permalink. 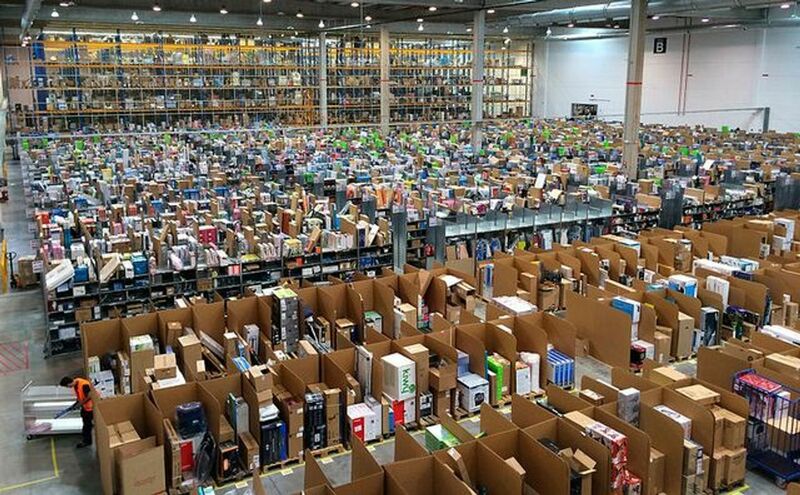 Amazon workers at the Spanish San Fernando de Henares logistic center are threatening to strike in the run-up to the busy winter holiday season. The proposed strike dates are November 23 (to coincide with the Amazon Black Friday event), November 24, December 7, 9, 15 and 30 and January 3. The strikes are to protest the expiry of a previous agreement covering overtime rates, pay increases and sickness benefits. The Stalinist-led CGT union said the planned strike depended on support from the CSIT and UGT unions. Workers first struck the plant in March for 48 hours for a new collective agreement. The plant, established in 2012, employs 2,000, with 1,100 workers on fixed contracts. At the end of 2017, Amazon workers in Italy and six German sites came out over pay and conditions.